Absolutely Stunning home in Congerville just outside of Goodfield! Conveniently located off a US 150 frontage road, between Peoria and Bloomington-Normal. 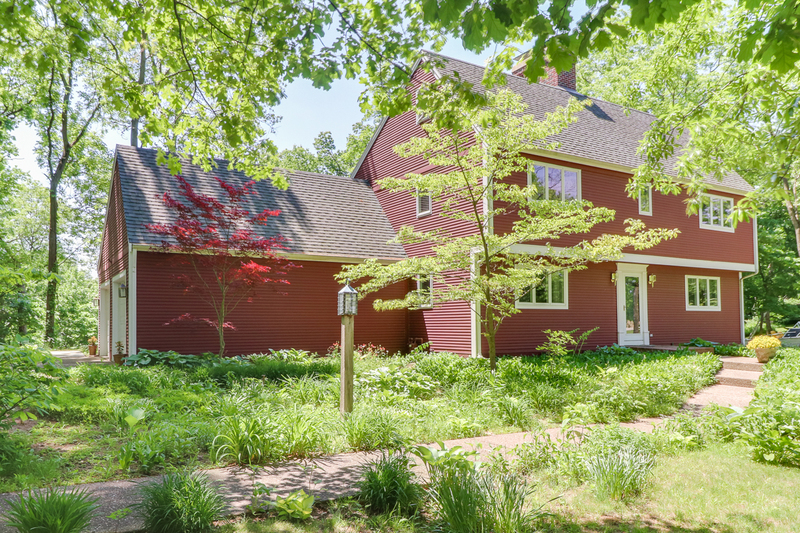 You’ll be in awe when you pull up to this traditional Saltbox style home with well done and thought out updates. Inviting landscaping all around and lots of mature trees. Beautiful 6 panel doors. Custom cabinetry throughout the house. Amazing wood floors and some exposed brick walls. Tons of windows letting in natural light – all which have been replaced in 2009. Half bath off the large living room. Formal dining room. Large full bath in upstairs hall with dual vanity. Big master bedroom w/ full bath, dual closets, private balcony with great views, and access to 3rd floor finished attic space. Unfinished basement with full bath and great storage space plus laundry. Exterior repainted in 2014. Sun filled patio in back. Shared well with 5 homes – $160/year for pumping and maintenance. Also 7.5 acres up to Mackinaw River behind home is “common ground” with the same 5 homes.